St.Lucia has become a honeymoon and anniversary destination to many people around the world. Without these people, I would not have been able to have this amazing blog. I would love to hear more of the amazing time you spent to about your own amazing experiences. When you take two kids from New Jersey who met when they were 18 and 21 and put them in paradise what do you get? Well, we are 19 years married, 2 kids, Texas- living business owners that had a dream come true of a vacation recently. The hubs surprised me in July with this fabulous kid-free trip to Sandals Grande St. Lucian last week. And what a trip it was! St. Lucia was a 4-hour flight out of Atlanta on Delta. It was a little longer than I would like to be from the kids but a few Tito’s and soda later, I was all in vacay mode. It only got better from there. After a surprisingly quick customs line, we were swept into the Sandals “lounge”. There we could help ourselves to the refreshing local Piton Beer on tap. That helped shorten the hour and a half trip to our resort in a packed van. But back to that van ride later. We were welcomed at the resort by our “butler” for the long weekend. Though she was just with us for one afternoon, Bailey (complete with white gloves and tux) showed us the amenities of our room. I’m not ashamed to say that when I first walked into the room, complete with fresh flowers and champagne, I happy cried. We’ve worked really hard over the years and to have something so beautiful as this vacation, and this room; it took my breath away (as did the diamond ring hubs pulled out later). For the remaining days we lounged poolside or beachside whatever we were feeling and thanks to our new butler William, we enjoyed it with coolers of water and beer in prime locations. We loved meeting the other guests, young and old. Honeymooners from Boston, 5-year anniversary folks from Pennsylvania, retirees from Kentucky all became friendly faces throughout our time there. And despite our Keto way of eating, we enjoyed the delicious offerings at each restaurant, especially the fresh fish at Gordon’s. William helped plan one excursion that we knew would be unforgettable. We were whisked by boat with about 7 other couples to see the Pitons, take a volcanic mud bath, refresh in a waterfall, and snorkel at an exclusive beach resort between the two Piton mountains. Amazing trip, fun people, delicious rum punch (lookout its almost too good), and breathtaking scenery made for a spectacular day. As this dream come true vacation sadly came to an end we had one more treat in store. Since the ride the to airport was a bit of a bummer, we decided to go by helicopter instead. And I’m so glad we did. This time we got to see the island from the sky and got up close to the peak of those beautiful Piton mountains. It was truly breathtaking and a wonderful way to end this trip with my love. 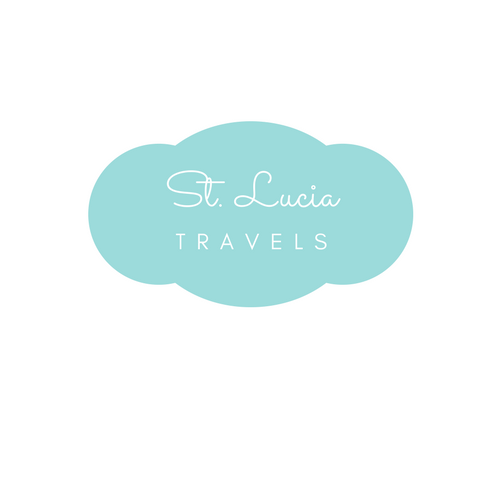 Thank you St. Lucia helicopters, Sandals Grande St. Lucian, William, and all the staff. And thanks to my main squeeze for all these years of adventure and making my dreams come true! This is such an amazing story by Maureen and her husband. We hope that this is not your last trip to St.Lucia , and maybe next time you can take advantage of the stay and one play at all Sandals in St.Lucia.